Having your AC blowing hot air in your car can be one of the most frustrating problems to have with your vehicle. Especially during the summer months, hot air in your vehicle can be more than just an incontinence, it can leave you extremely uncomfortable and limit the distances you can drive in your vehicle especially in some of the warmer areas of the country. Besides leaving you uncomfortable and irritated, having a malfunctioning air conditioning system can actually lead to some dangerous situations. One of the most common is getting caught in a rainstorm on a hot day. As the rains move in, your windows have to go up. Along with rain usually comes a rise in humidity, which can often leave your windshield fogged up on the inside. 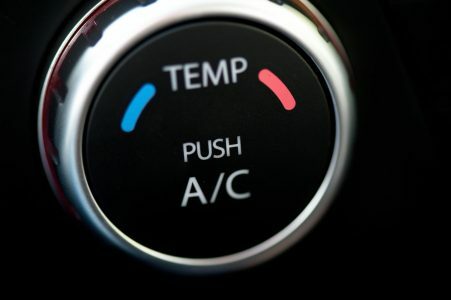 Most vehicles automatically switch on the air conditioning even if the driver doesn’t select it when the vents are switched to defrost. This is because the air conditioning system in your car not only cools the air blowing into your cabin, but it also removes the humidity and dries the air out. This dry air now has the capability of quickly and easily defogging your windshield making it safe for you to drive. If your air conditioning system is malfunctioning, your rainy day drive could leave you stuck with a foggy windshield limiting your ability to see and making driving very dangerous. The air conditioning system in your vehicle is split into two parts, a high pressure side, and a low pressure side. The high pressure side includes the compressor and the condenser. The low pressure side includes the expansion valve, the evaporator, and the dryer. In order to check the condition of the components on the high pressure side of your system, you need some special tools and good working knowledge of how your air conditioning system works. To check the low pressure side if your system, you really only need a simple gauge and a way to connect it to your system. Many auto parts stores sell refrigerant refill canisters that have the correct gauge and connectors installed and ready to test your system. If your AC is blowing hot air, this is the best place to start diagnosing the problem. Before you can measure the low side pressure, you need to start your vehicle, let it idle, and turn the air conditioning on full. Then you can connect the gauge to the low pressure port in your air conditioning system and see what the readings are. The low side pressure in your system should fluctuate when the compressor cycles on and off so make sure you can see the compressor pulley to check when the compressor is engaged and when it shuts off. When the compressor isn’t cycling the pressures should equalize in your system and read above 50 PSI. When the compressor is cycling the low side pressure will drop as the compressor creates a suction. If it drops too low, often around 20 psi, your compressor may cycle off to protect itself. If it doesn’t drop enough it could indicate that your compressor is getting weak and doesn’t have the capacity to create the cooling effect in your system anymore. If you find an abnormally low pressure in your system on the low pressure side it usually is an indication of a leak. If that is the case, add Red Angel AC Stop Leak to your air conditioning system, then refill with refrigerant until the low side pressures are within the specification for your vehicle. Red Angle AC Stop Leak will travel through your air conditioning systems to the leak point where it will create a chemical seal inside the system so your newly added refrigerant doesn’t leak back out. For more information about Red Angel AC Stop leak, click on the banner below! I have a 2008 Honda Civic. For about a year now, it blows cold air sometimes and hot air other times. Right now we’re in the dead of Summer in Texas and it’s blowing hot air only!! What could it possibly be? Thanks for your question about your 2008 Honda Civic. Intermittent problems like you’re describing are often electrical issues. It could be a loose signal wire to your compressor, a bad radiator fan, a problem with the ventilation control unit in your car, or even a faulty pressure or temperature switch. Unfortunately, to discover which problem you have, you would have to be able to bring your vehicle to a mechanic while the problem was happening. Hi. I have got a tata indica. The vehicle over heated and the oil looked milky, we took head in to do a pressure test and everything was 100% we changed the head gasket although head gasket seems fine. When we started the vehicle everything was ok, but now it is spitting water from somewhere. Cannot not see from where the water is coming from. The water is spraying top front to outside. Please can u give me advise? Please contact our tech support team at 888-863-0426 so that we can get a better understanding of where you are seeing the water leak from. This will help us determine whether or not we have a product designed to seal that type of leak. It sounds like you definitely have just a refrigerant leak. If the compressor was bad it would not engage and allow the A/C to work normally for any period of time. We recommend adding 1 can of Red Angel A/C Stop Leak (http://store.gobdp.com/a-c-stop-leak-aerosol-00222/) and then following it up with the proper amount of R-134a to recharge the A/C system. Red Angel will seal any leak points within your A/C system and allow the A/C unti to continually blow cold air. Feel free to contact us with any questions at 888-863-0426.
hey i have a 2003 toyota camry and my a/c is blowing out hot air. I was told to get another a/c compressor but i dont think that’s the problem. Thank you for asking about your Toyota Camry. Unfortunately, we do not have enough information to go on here. You may want to take the vehicle to a different shop for a second opinion. Hi. I have been noticing some sweat coming from my air vents for a while and every once in a while a little water drips from under the dash on passenger side. The air has been blowing cold tho. But the other day I smelled antifreeze coming through my vents and then my truck started running hot. We replaced the thermostat first. And now my air isn’t blowing cold even after putting freon in it. We bypassed the heater core just so I’d maybe have air today since I drive all day in the truck doing the mail route. Still no cold air. Does one of these issues cause the other to not work? Is it common for the air to not work when the heater core goes out? Thanks for your question about your air conditioning. If the air blend door in your truck is controlled by a servo motor it’s possible that the leaking coolant from the heater core has shorted that circuit out which could be causing your air to not blow as cold. If that was the case then the A/C lines under the hood would still be cold even though the air blowing from your vents wouldn’t be. That is kind of a stretch and it’s more likely that the problems are simply coincidental as a heater core leaking shouldn’t affect your air conditioning. I have a 2015 kia soul. It blows cold air except when it rains. It blows hot air and fogs the windows from the inside. Also there is thermometer under my speedometer. It’s blank when it’s hot outside, but it reads in the negatives when it’s humid and rainy. What could this be? Thanks for your question about your 2015 Kia Soul. It sounds like you might have some electrical problems in the front of your car and when it rains it causes things to act up. That is would be the most likely cause of your car’s thermometer not working and if the wiring for the AC condenser fans or compressor is in the same area it is possible that is why you don’t have any cooling when it rains. Our recommendation would be to check loose, frayed, or broken wires at the front of your car both behind the bumper as well as under the hood by the radiator. 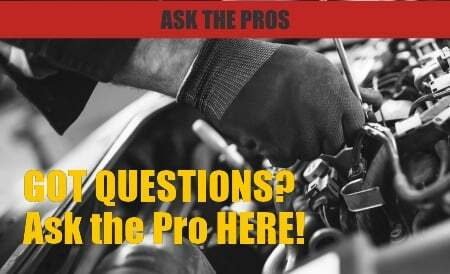 Car Maintenance Schedule — Are There Other Options to Head Gasket Replacement?